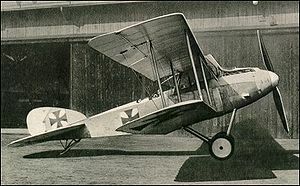 C.V/16 Original design with radiators on fuselage sides. C.V/17 Revised aircraft with radiator on upper wing, and redesigned lower wing. Taylor, Michael J. H. (1989). Jane's Encyclopedia of Aviation. London: Studio Editions. pp. 52. Albatros C.V Pictures and Albatros C.V for Sale.